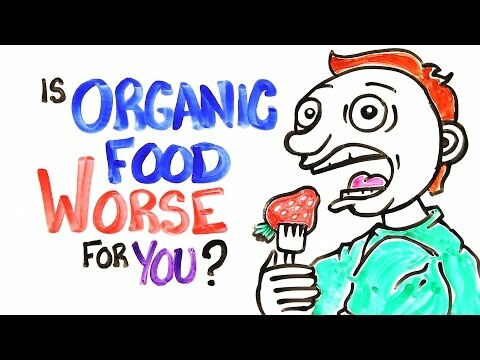 Can Organic Foods Really Reduce The Risk Of Cancer? A new study out this week has shoppers wondering whether it’s worth paying more for pesticide-free organic food. The research, published in JAMA Internal Medicine, found those who chose more organically grown foods over 4.5 years had slightly lower rates of cancer, and in particular, lymphoma and postmenopausal breast cancer. So is this actually legit? When you see the word "organic" on your food, you assume it's healthier and not made with scary chemicals. As this video explains, neither of those are totally safe assumptions. As the controversy over just what constitutes free-range eggs continues, Woolworths has announced plans to eliminate all caged egg brands from its stores by 2018. How will that affect what you pay? What Types Of Bacteria Live On Your Fruits And Vegies? New research has confirmed fresh fruit and vegetables carry an abundance of non-pathogenic bacteria on their surfaces; and certain organic fruits are among the worst offenders. The family of microbes also varies wildly, depending on the type of produce and the cultivation methods used. Ask LH: Do Organic Butter Labels Mean Anything? Are We Free To Choose Free-Range Eggs? Consumers are increasingly concerned about how farm animals are kept, raised, transported and slaughtered. Most people show their concern by buying "ethical" farm products, such as free-range eggs and organic meats. Consumers should not have to undertake extensive research to get a general idea of where their food comes from, but can they trust -- or even understand -- product labelling? There's plenty to like about organic food: it usually tastes better and it lowers your exposure to pesticides. However, if you think it's actually better for you in a strict nutritional sense, you're wrong. A new scientific study reminds us of what common sense already tells us: in terms of nutritional composition, there is no difference between "organic" food and the common-and-not-your garden stuff. It's a simple rule: if you imply that your poultry is raised outdoors in a relatively happy free-range lifestyle, it doesn't look good if they turn out to live their entire short lives in indoor sheds. The Australian Competition and Consumer Commission (ACCC) is taking one supplier to court for describing its ducks as "open range" and "grown nature's way" while raising them entirely indoors. Is There Such A Thing As Free-Range Honey? At first glance, "free-range honey" might sound like a contradiction -- after all, how can bees produce honey if you don't let them roam freely over the flowers? But the expression does actually have a relatively specific meaning.